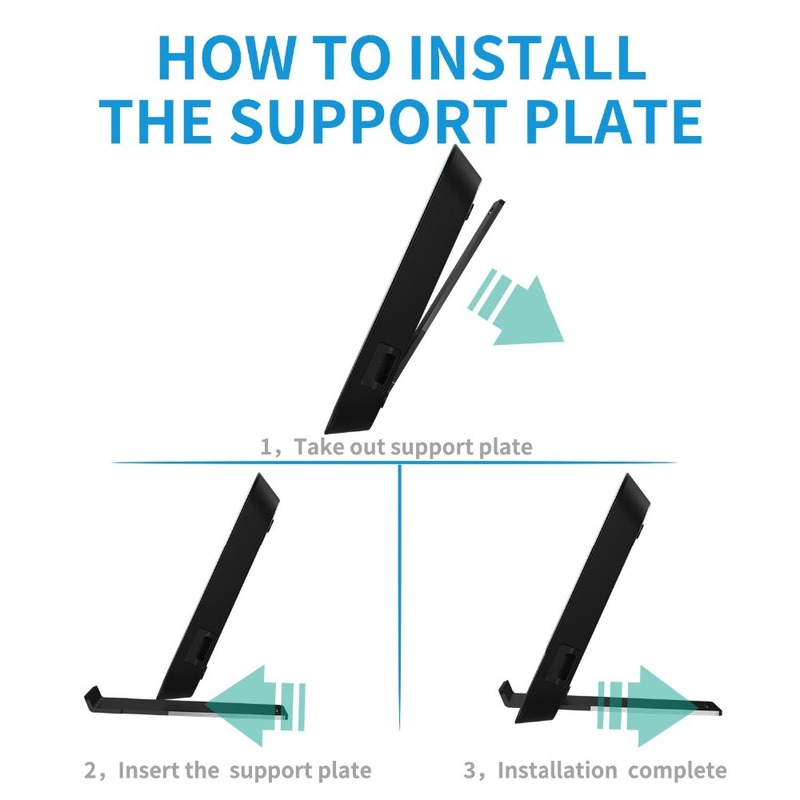 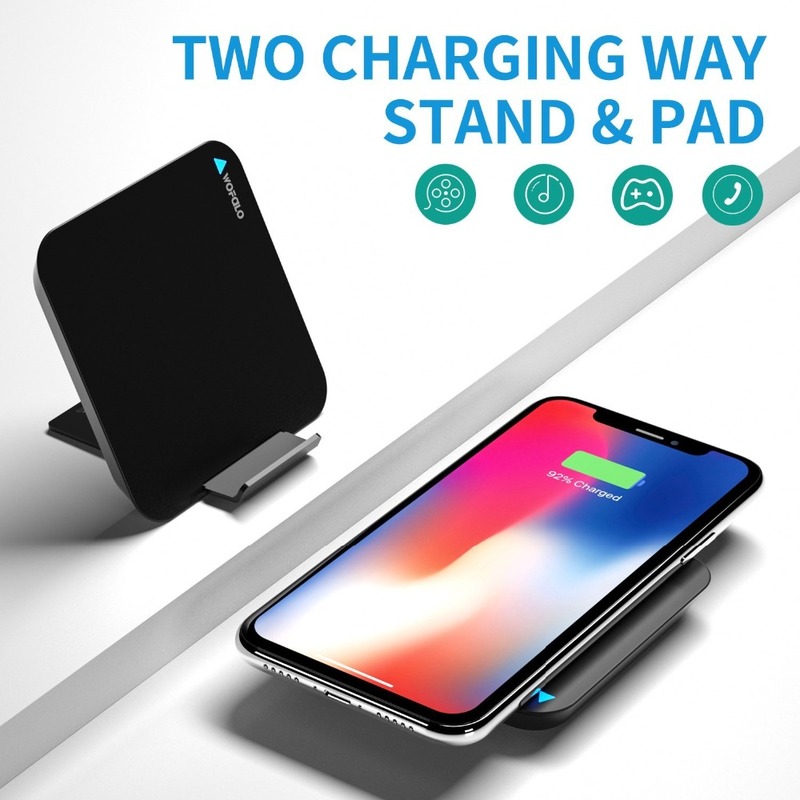 2 IN 1 WIRELESS CHARGER PAD STAND - The prop can be hidden,so the wireless charger could work as a charging stand, also could work as a wireless charging pad.You can charge your cell phone horizontally or parallel.PLEASE Note:You CAN NOT charge your cell phone vertically When work as charging stand. 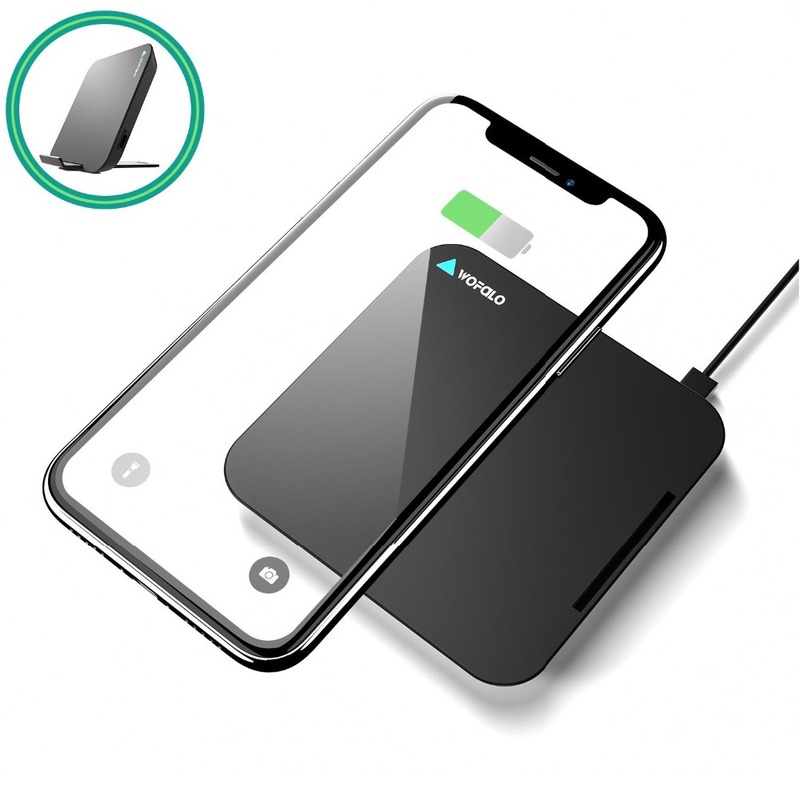 QI FAST CHARGING TECHNOLOGY AND SAFETY GUARANTEE - 1.5 times faster than normal charge mode, saves your time and energy.Charging up to 75% Charging efficiency. 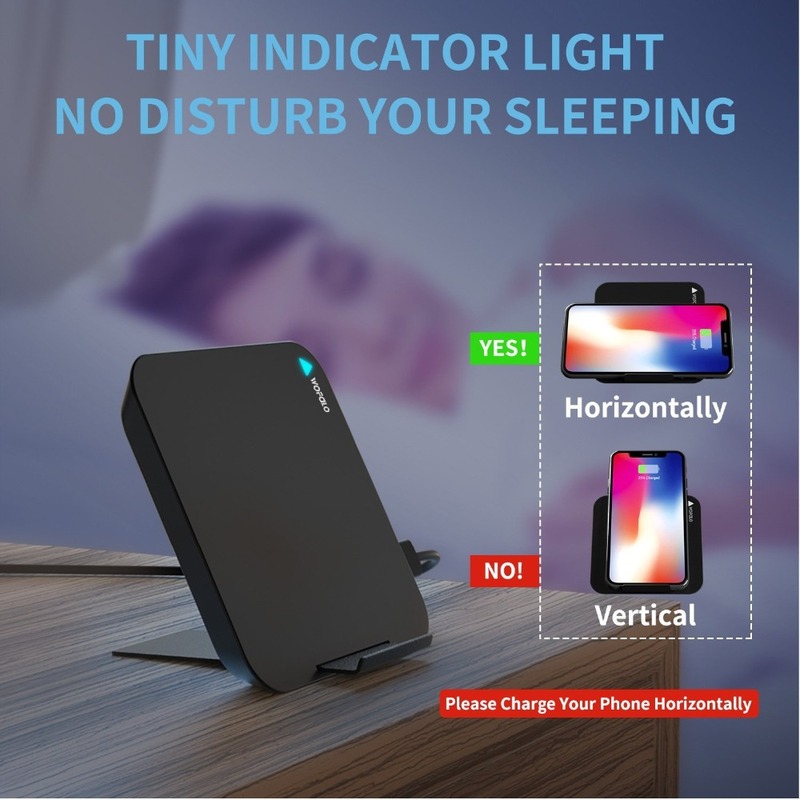 This wireless charger approved by QI,KC,CE,FCC,ROHS, holds multi protection technology. 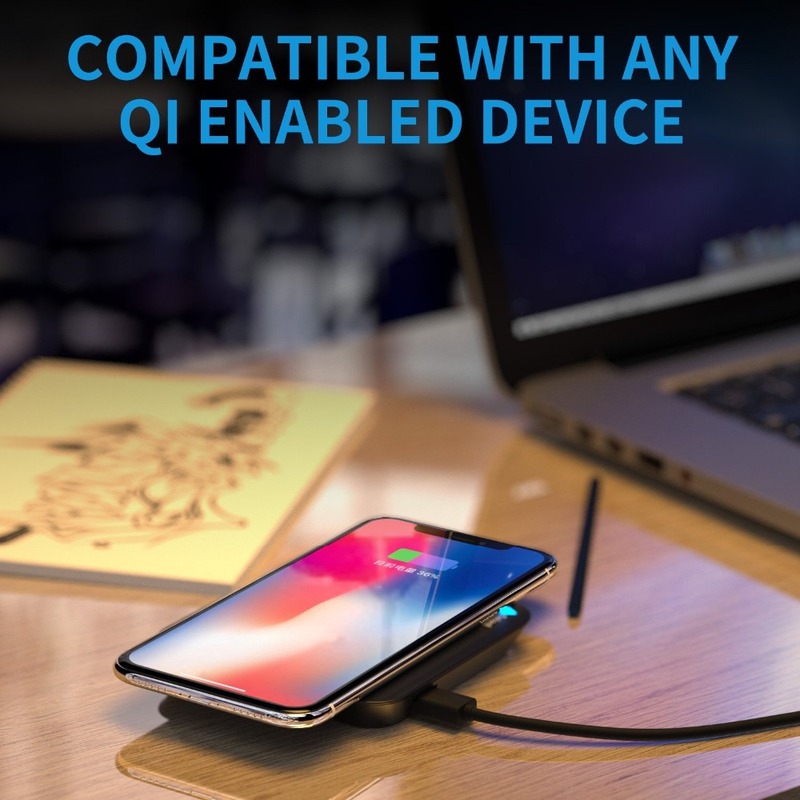 ENJOY WIDE COMPATIBILITY - The pad Works with almost all QI-Enabled devices.Fast charge mode widely supports models including Galaxy Note 8, S8, S8 Plus, S7, S7 Edge,S6 Edge Plus, Note 5.PLEASE NOTE General charge mode supports most Qi-enabled devices including newest for iPhone 10/X, iPhone 8, iPhone 8 Plus. 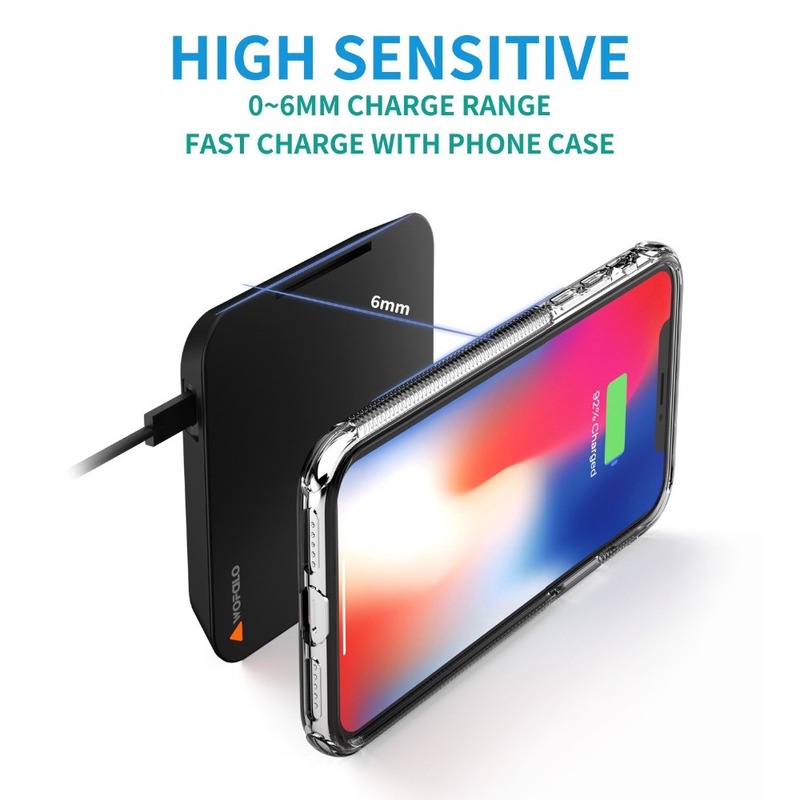 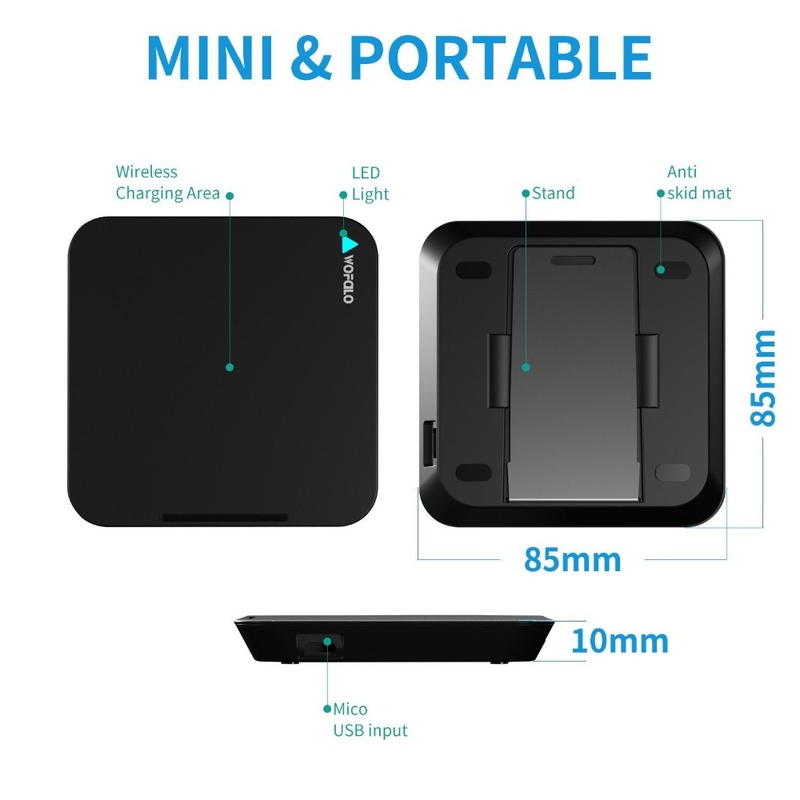 CHARGE YOUR PHONE WITH CASE(Case's thickness within 6mm) - You can charge your phone with case,PLEASE NOTE if your case thickness cover the 6mm,it can't charge your phone.